An initiative that began near Christmas time has been brought to action, as the Aboriginal Student Resource Centre delivered care packages to three shelters on Feb. 9. The packages were distributed to three shelters—Chez Doris, The Native Women’s Shelter and The Open Door—all located near Concordia. 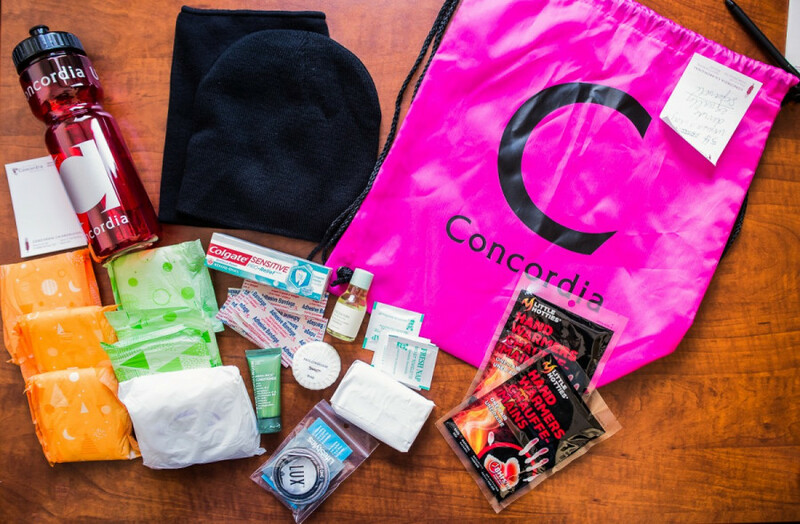 The kits include hat warmers, neck warmers, body care products, water bottles and sexual health harm reduction kits—which consist of condoms, lube and information about Aids Community Care Montreal, who donated the kits. Concordia’s ASRC provides resources for First Nations, Métis and Inuit students. They not only want to benefit those around the Concordia community, but also to connect students in the ASRC with Indigenous folks in the community. When talking about people in vulnerable situations, especially with Indigenous people, there is often a victim narrative that runs throughout, said Mikayla Cartwright, a mentor and support assistant for the ASRC. Cartwright said that in Indigenous communities there is no hierarchy for a lot of people. “We don’t see our community members who make the choice or don’t make the choice to live on the street as any less than we are because we have roofs over our heads,” she said. The initiative was created by George Lenser, a Concordia student in First Peoples Studies. “Those shelters are very busy places, and a lot of the people who frequent them have needs that the shelters can’t always fulfill, in the way that some people just want to get a shower and leave,” said Cartwright, explaining that others would like materials such as those supplied in the care packages. The funding for the kits came from an Indigenous artisan sale the ASRC held last semester in the Library building. In addition to the funds raised through the sale, Cartwright said the ASRC asked university staff to make donations. “The response was incredible. We had people everyday showing up at our door,” she said, adding that the university donated bags and water bottles. “We were able to include all of those products in our care packages, as well, which meant we could use our budget because the hats and the neck warmers are more costly,” said Cartwright. Cartwright added that it’s important to maintain connections between Indigenous students in the university and Indigenous communities nearby. The Link reached out to Lenser, but was not provided a response before the publication of this article.